ஸ்ரீ ஆதி சங்கரர் காசியில் தங்கியிருந்த போது, ஸ்ரீ கால பைரவரைத் தர்சித்து ஸ்தோத்ரம் செய்துள்ளார் .இது 8 சுலோகங்கள் கொண்ட அஷ்டகமாகவும் 9-வது சுலோகம் பலச்சுருதியாகவும் உள்ளது. காலபைரவரை , भजे = பஜிக்கிறேன். When Jagadguru Adi Sankara stayed in Kasi ( Varanasi ) he used to worship Lord Kala Bhairava . 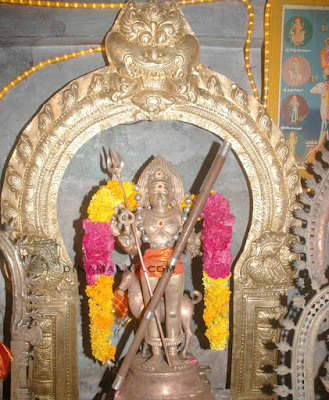 Bhairava is also a close aid of Lord Shiva like Nandigeswarar.He is said to be created by Lord Shiva to destroy Daksha yagam & Daksha ( father of Goddess Parvathi - who criticized Lord Shiva & insulted his daughter Datchayani ( Parvathi ).Unable to bear the insult towards Her husband Lord Shiva, Datchayani ended Her life by jumping into the holy fire in the Yagam. After coming to know this, Lord Shiva was furious & created Kalabhairava & instructed to destroy the yagam conducted by Daksha. Bhairava destroyed the yaga & also Daksha .Later he was given life with a goat's head as Goddess Parvathi requested Lord Shiva to spare his life . 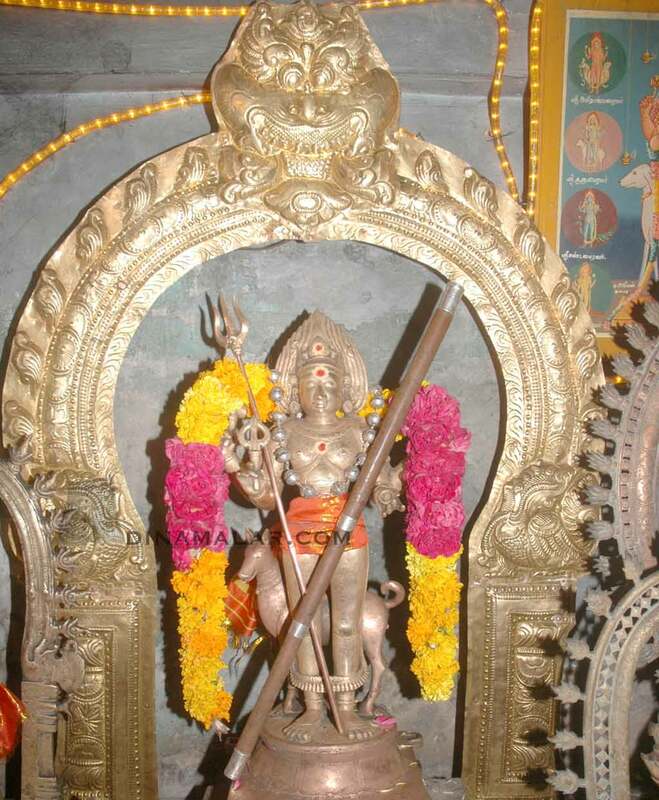 Bhairava was later made the security in charge of Kasi city.He has been given a special place in all Shiva temples.All the Navagraghas ( nine planets like sun, moon,saturn are said to be under his control) As he controls the planets, he is called Kala bhairava - one who controls time).He dispels the doshas or sins committed by devotees of Lord Shiva provided they do not repeat their sins, He protects devotees from evil forces.He is worshiped specially during declining period of moon - 8 th day called ashtami thithi & also during Ragu kala period, especially Sunday 4.30 pm to 6 pm. Yaga or yagna & homam are same words.Generally Yagna means sacrifice.This is explained in the 3rd chapter of Bhagavad Gita.Any thing that is done for the welfare of others ,without any expectation is Yagna. Lotus feet of Lord Bhairava is worshipped by Devendra , the chief of Heaven( who has a command over the running of whole universe in a peaceful manner under the Guidance of Lords Shiva, Vishnu & Brahmma. )He is wearing snake as yagjopaveetha( Holy thread across the chest) & small growing moon in his head.He is praised for bestowing His divine grace towards his devotees.He is worshiped by great saints like Naradha.He is wearing the four directions as his dress & In charge of the security of the city of Kasi. I (Adi Sankara)worship Him. .
Sri kalabhairavar ( Thagattoor temple near vaymedu - Tiruthuraipoondi)Photo courtesy Dinamalar news magazine.